Timeshare at Club Marina Mar en Puerto Aventuras is located in Puerto Juarez in Mexico and makes for a fantastic holiday getaway. The Club Marina Mar en Puerto Aventuras offers an inviting blue swimming pool, and is only a stones throw away from the restaurants and shops in the Puerto Juarez area for your entertainment. 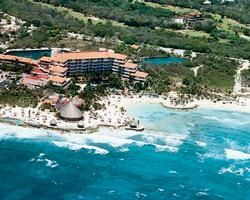 Make timeshare at Club Marina Mar en Puerto Aventuras your Mexico vacation dream holiday ownership.